Turning your dream into a reality is something most of us only dream of. WE put it on our ‘bucket’ list and still that time never seems to come. 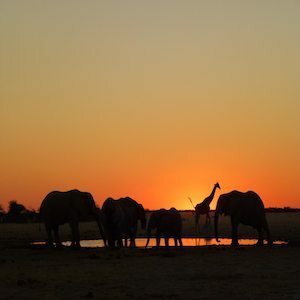 African Safaris should be on the top of your “Live List” to experience the wildlife before it disappears. Just imagine going back into time to live in a place where animals roam free, in their natural environment, where tribes still maintain a nomadic lifestyle, where the people you meet greet you with the friendliest of smiles, even though they lack many of the basic needs in life, where you never know what type of wildlife and interaction you will encounter that will mesmerize you. Imagine YOU on safari. Imagine YOU in Africa. If you have not been, this is only a miniscule part of what you will experience. The other part cannot be put into words. It is an experience you can only feel by being there in the moment. Imagine that! Feel the gentle breeze of the vast plains of the Serengeti, the intimateness of the Maasai Mara, accommodations and meals that will rival any five star experience in the USA, landscapes that will have you lost in thought and amazement. TIA – This is Africa! Marvel at the beautiful rich colors that paint the landscape, the fluffy white clouds above the bluest of blue skies, the green green grass of home, the amazing wildlife. TIA – This is Africa! Listen to the thunder of a million hooves as they make a path to the water to get to the other side. The grass is actually greener on the other side, and those hooves are willing to put their lives in danger of the gripping jaws of the large Nile crocodile that inhabit the river, just to get to greener pastures. You cannot imagine the mixture of excitement, fear and anxiety you will feel all together as you see this scene unfold in front of your eyes. TIA – This is Africa! A safari doesn’t have to break your bank. Of course you can spend upwards of ten of thousands of dollars for the ultimate safari, if you like, but every safari doesn’t have to cost that much. Take a look at those listed and you will see that there is a safari to fit your budget, with payment plans gladly accepted. If any of this sounds exciting, if any of it is something that you’ve imagined as you’ve watched Discovery Channel, National Geographic or Animal Planet, then bookmark this page. You will want to come back to it. For THIS IS AFRICA – TIA! Are you destined to travel to Africa? Join Safari Kay on one of the many organized group safaris to East Africa or South Africa. After your visit you will be able to write your own story, share with the world what you have just witnessed, because your dream will have become a reality, and your ‘bucket’ list will have gotten a little shorter. You will be richer for the experience!